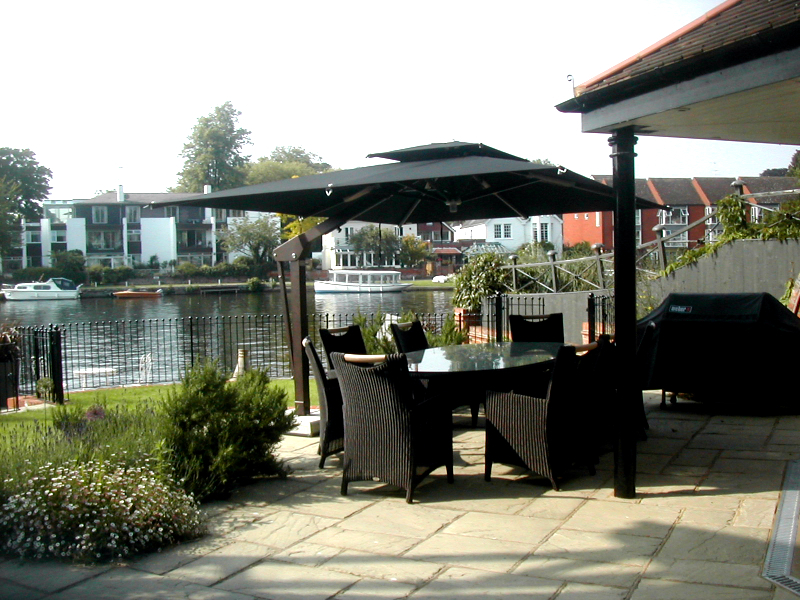 Samson Awnings provide and install large umbrellas in domestic applications. 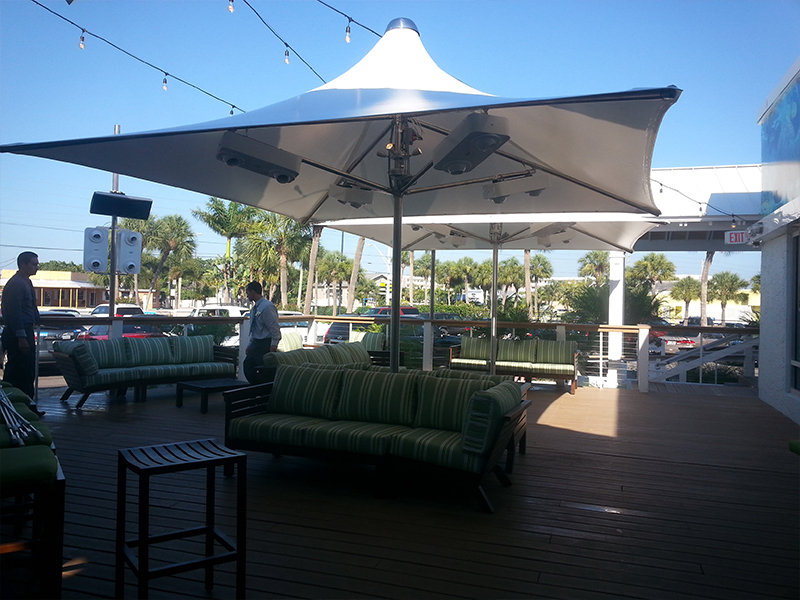 These are serious umbrellas and will require proper ground fixings and management in higher wind conditions. 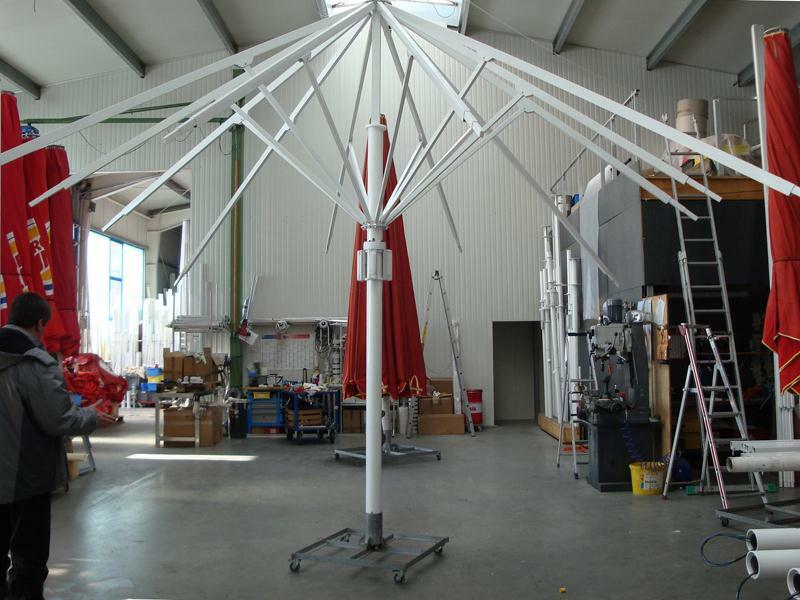 Operation is usually extremely easy with geared winding operation or even electric operation for some of the larger umbrellas. 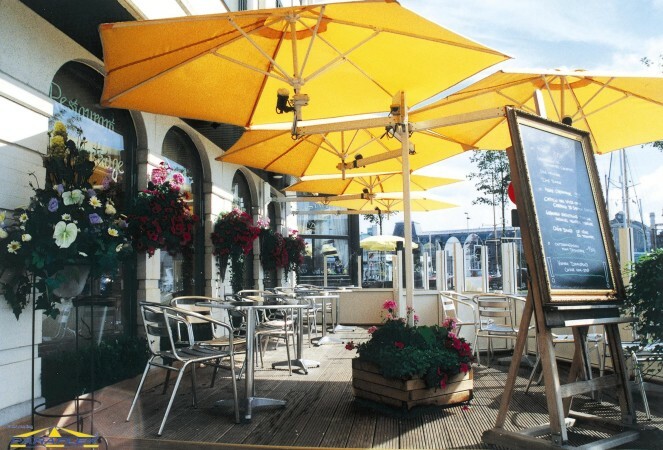 The Paraflex umbrella system is an umbrella system which eliminates the need for a heavy base and a centre pole. The anodised brushed aluminium side mounted arms fit directly onto a wall or an upright pole. 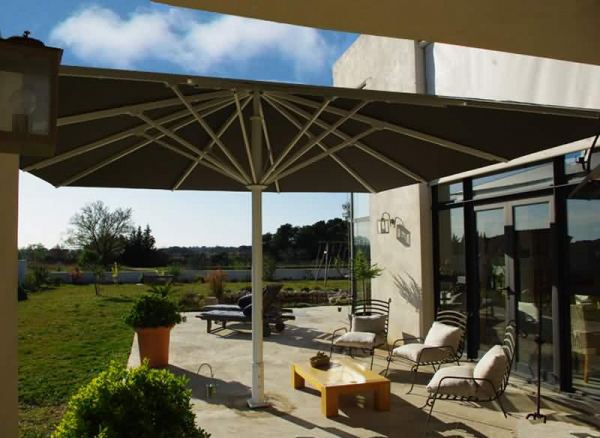 The hinged support arms allow tilting and almost limitless positioning of the umbrella to achieve the desired shade with absolute ease, particularly useful to follow the path of the moving sun during the day in your garden. 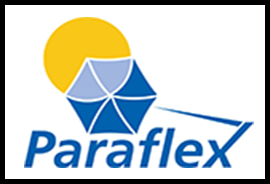 Available singularly or in clusters, the Paraflex can be added to by module, thus extending the coverage dramatically and enabling different installation techniques. The single unit is quite compact; in limited areas such a small garden or courtyard area this is very often the perfect solution, especially when fitted to the wall thus avoiding any cluttering of floor space. When adding units to create a multi-system, the lack of need of floor space is very beneficial. As well as wall or floor fixing, the Paraflex lends itself to the attractive option of being dropped into a planter, achieving portability and a base surrounded by flora. 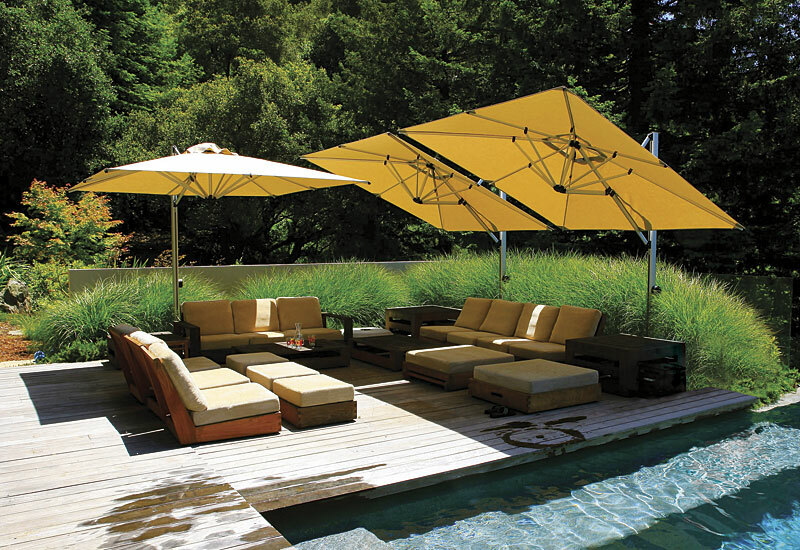 Stretched over a hexagonal frame, the acrylic fabrics are water repellent and fade resistant. Produced to retain tautness, the fabric will not sag. There are a number of beautiful colours to choose from in different weights of fabrics. 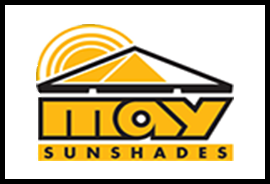 The differing weights of material carry differing periods of warranty, so check the guarantee on your choice before buying. Storing the Paraflex could not be easier. Simply take it out of the clamp, close it down and store it, or leave it on the arm and close it by the zipper in the umbrella cover. The arm can also also be dismantled for winter storage if required. A range of accessories are available with the Paraflex. 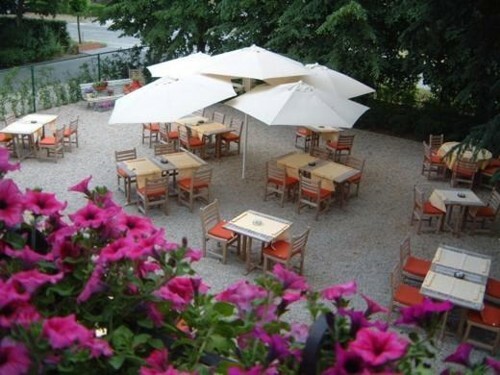 Both heating and lighting systems are available as extras, and they can make those lovely summer evenings last well into the night, hugely increasing the usability of your outdoor space. 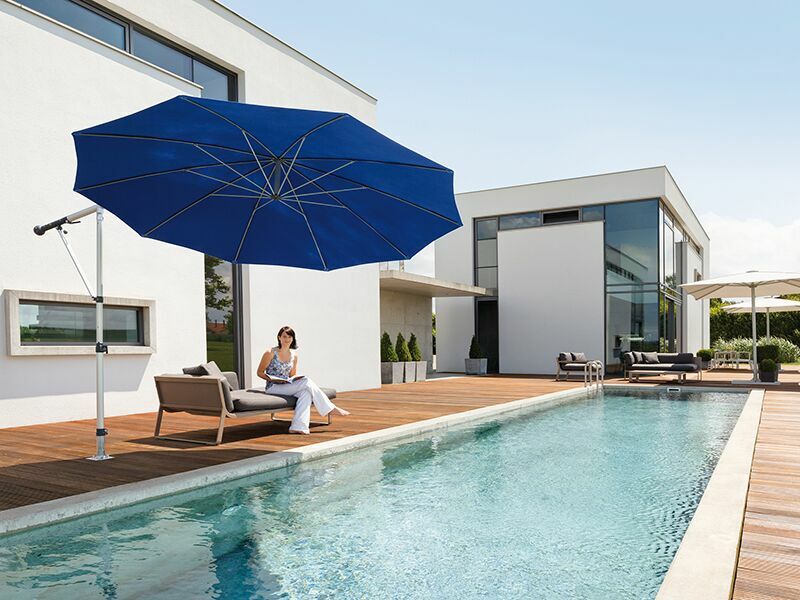 For an equally ingenious large umbrella supported by a side arm system, take a look at the Rialto, Mezzo or Decapo umbrellas from German manufacturers May. 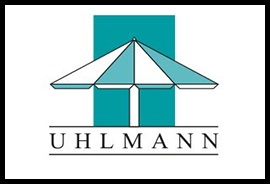 These umbrellas offer fantastic engineering and clever support of the main umbrella cover in almost every conceivable angle to help control the shade required all day long. 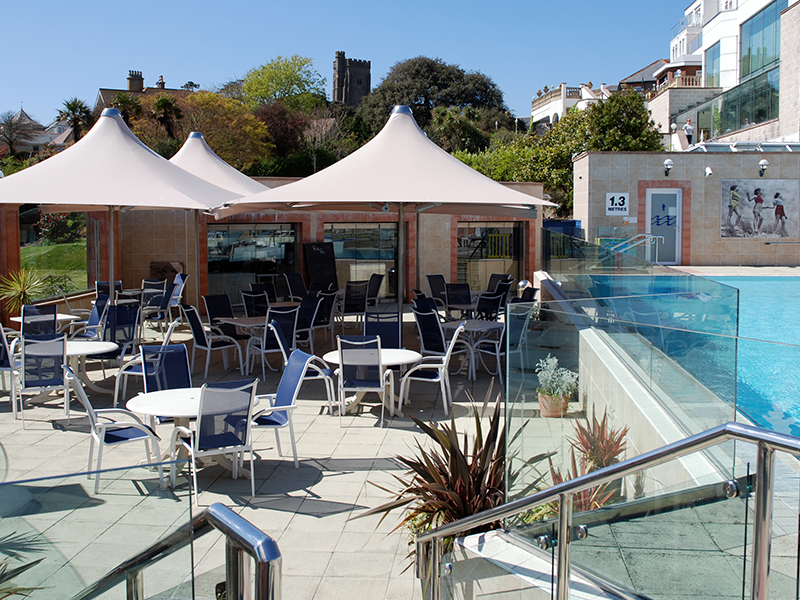 They are available in several sizes and shapes, with a large colour choice for the fabric cover, and the highest quality aluminium framework system, with many options for ground fixing. 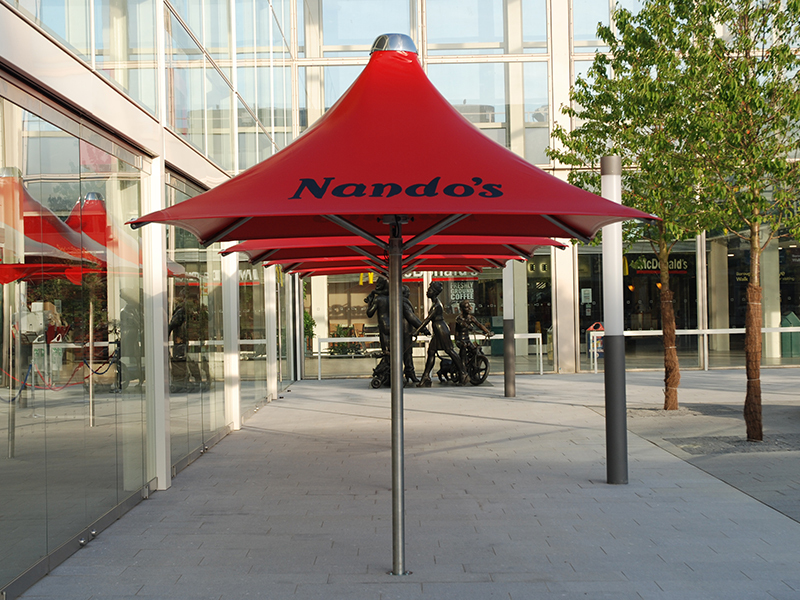 Three different centre pole large umbrellas are available from May Umbrellas; Filius, Schattello, and Albatros. 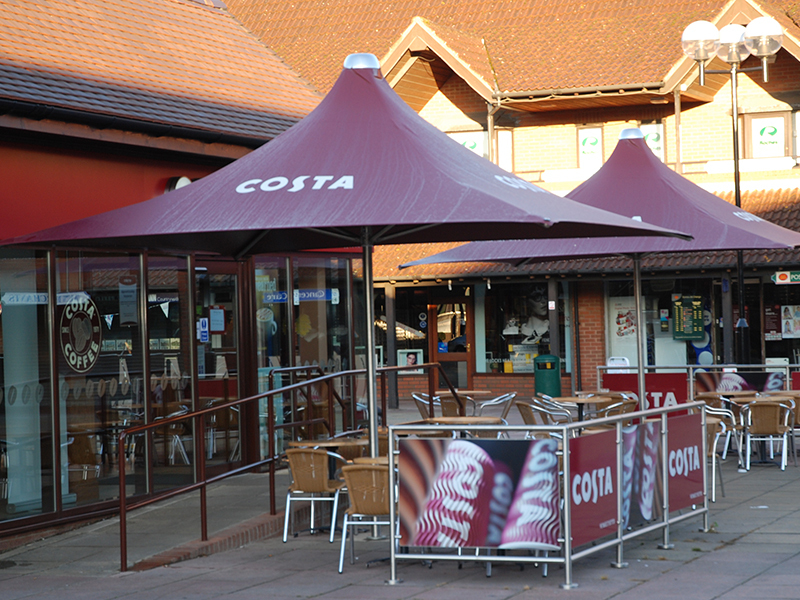 Typically used in a commercial setting, these high quality umbrellas are available in extra large sizes, however sizes start at 1.5m x 1.5m, which makes them a perfect alternative to usual patio sun shades. The Filius is the lightweight model of the May range, making it perfect for domestic use. 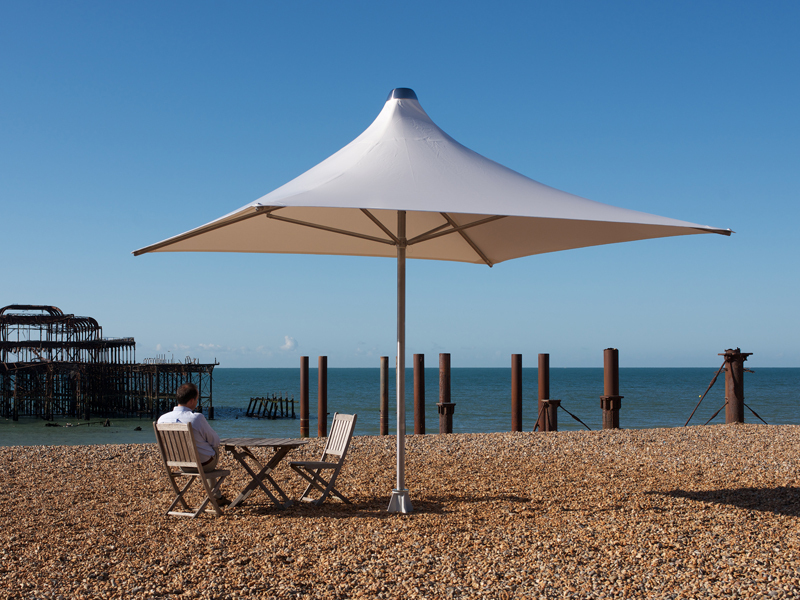 It is available in 3 parasol shapes; square, round and rectangular and is available in a wide range of colours. 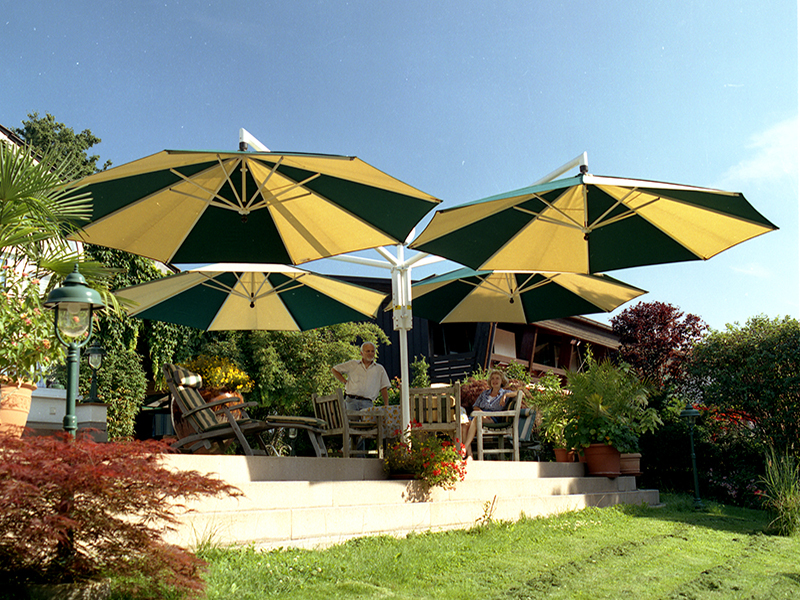 The Schattello is an all weather umbrella and extremely wind resistant, so you can enjoy your garden all year round. 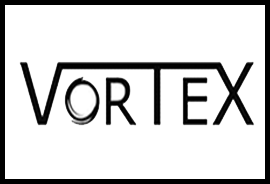 It is available in four shapes; square, rectangle, triangle, and round. 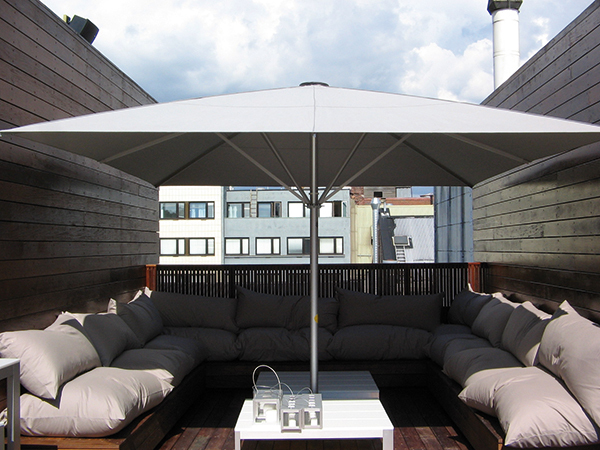 The Albatros is also a large area, wind resistant parasol, available in three shapes; square, round and rectangular. 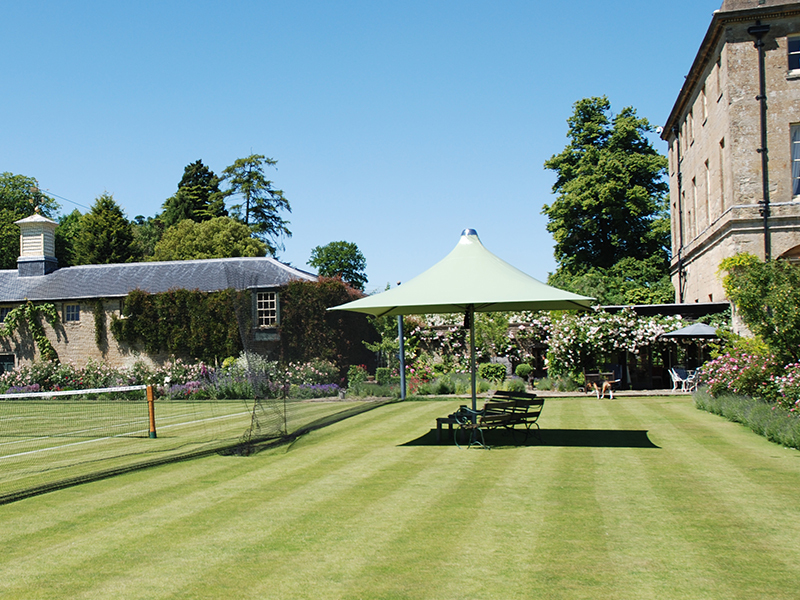 All three umbrellas are available in the full range of May Umbrella fabrics.